Ron Yary is the big guy. Robert Cantu is one of the leading experts on head trauma, and he works out of Emerson hospital in Concord, Massachusetts — the same hospital where my brother was born. Cantu is one of the founders of the Sports Legacy Institute, which is one of the leading research centers on Chronic Traumatic Encephalopathy (CTE). CTE is a degenerative brain disease, also known as being punch drunk. At the SLI, they conduct autopsies on brains, which have been donated by former athletes. They studied Junior Seau’s brain and Christ Benoit. They have come to understand there is a toxic protein called Tau in the brains with CTE. Well, I’m not going to delve too much into CTE and head trauma — I’m obviously not a neurologist — but this book is something everybody should read, especially if you’re a parent or a person thinking about letting your son or daughter play sports. It reveals so much. And it’s not sensational; Cantu gives you ways to improve the safety of the game for your children. Check out the book. But the reason I found out about this book was because I was at USC for a conference on violence in sports — a focus on football. Mark Hyman, the journalist and writer who worked with Dr. Cantu, spoke at the event, along with other specialists in the field. The forum was moderated by Professor Daniel Durbin. It was fascinating and a huge part in directing my research for the piece I’m writing. So let me share with you a great story from the conference. 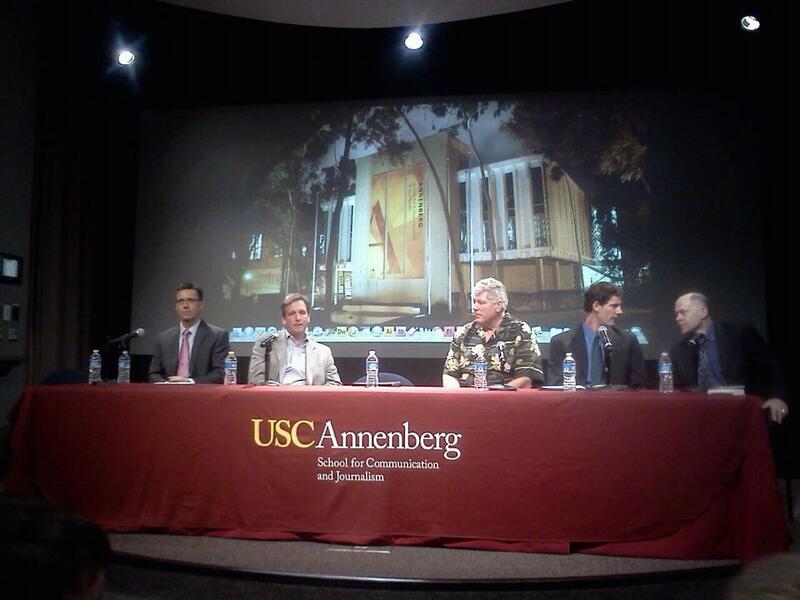 Ron Yary was another one of the people speaking on the panel at USC. Yary went to USC, and he was inducted into the NFL Hall of Fame. He played with the Vikings and the Rams. While he is an incredible advocate for football and has high hopes for his son to play at USC, he will not let his son play football until he his 14. Let me paraphrase a story he told. He called it a big-hit story. During a game, the coach called in a run play. In this particular play, he was to pull. As he was pulling through the line, one of the defensive tackles caught him under the chin. He was hit so hard that Yary said he had an experience of — these are his words — astral projection. This is another way to talk about an out-of-body experience. The way Yary described it he was literally outside of his body looking down. Eventually, he came back. Yary went back to his sideline for a change of possession. Once the offense got the ball back, he took one snap, and he went back to the huddle. That’s when Yary realized he was standing in the defensive huddle. He had no idea where he was. Part of me wants to comment on this story, but I think I’m just going to let it be. Next Concussion, The Tuck Rule, and Man, I was bad at football.